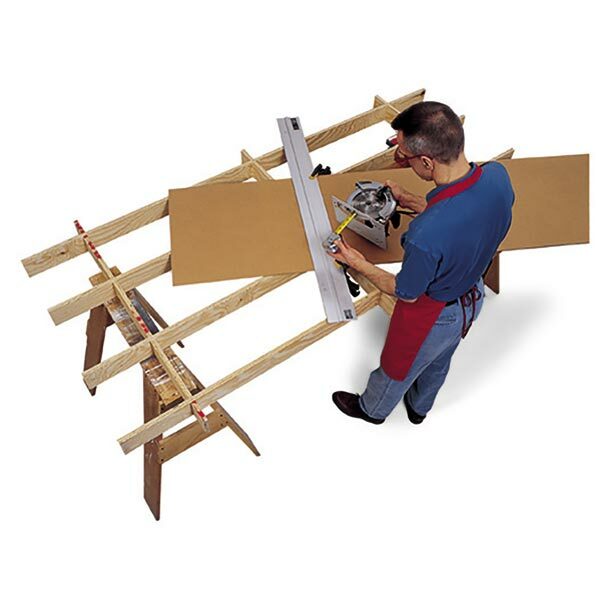 Our handy folding fixture adds only inches to your saw when stored, but provides you with more than 3' of stock support beyond the blade for safer and more convenient cutting. 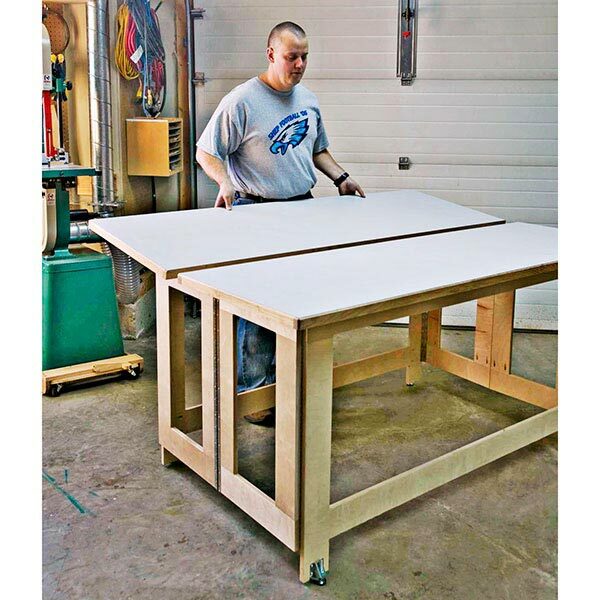 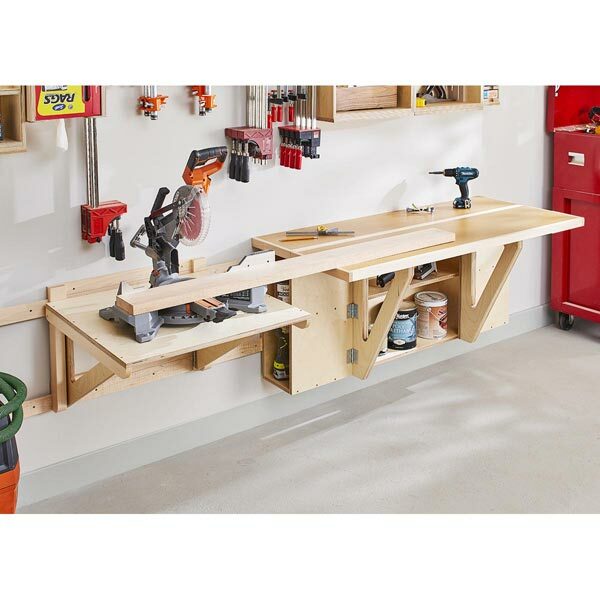 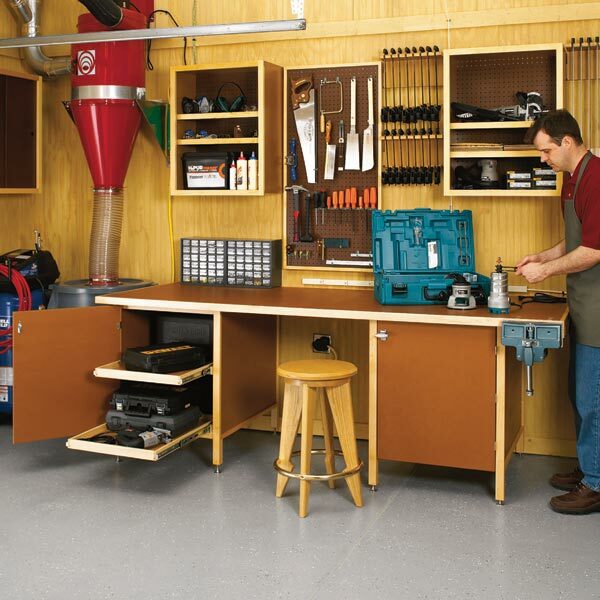 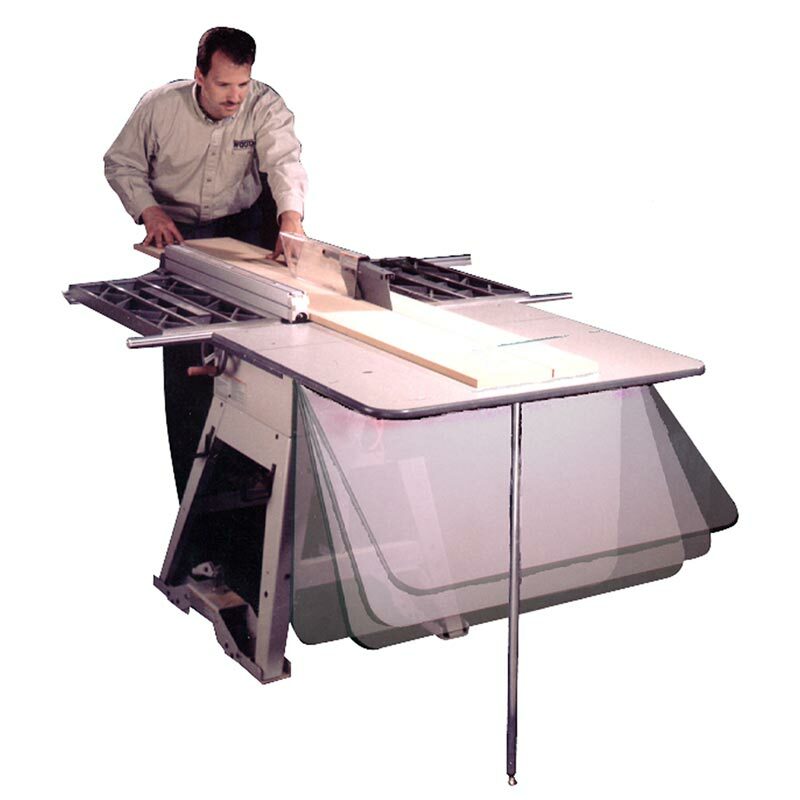 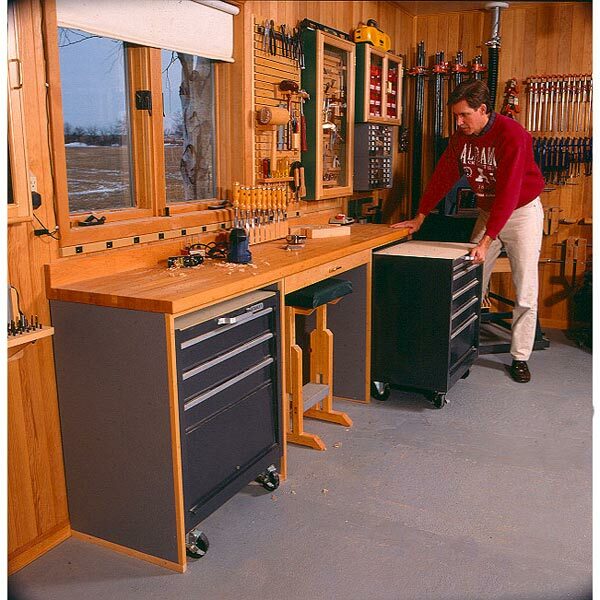 This fixture attaches to any stationary tablesaw, regardless of the style or material of your saw's extension wings. 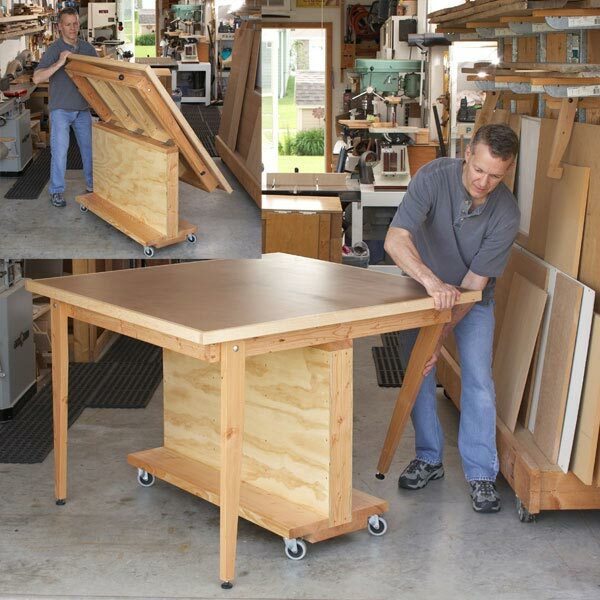 We built ours to fit a Ridgid TS2424 tablesaw with webbed, cast-iron extension wings. 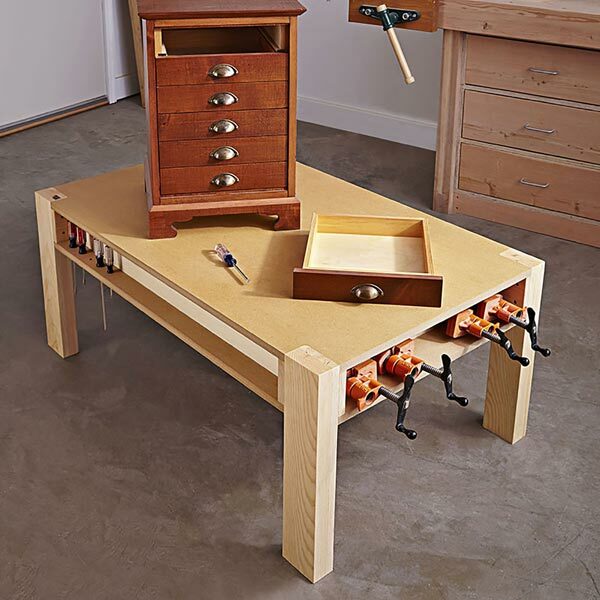 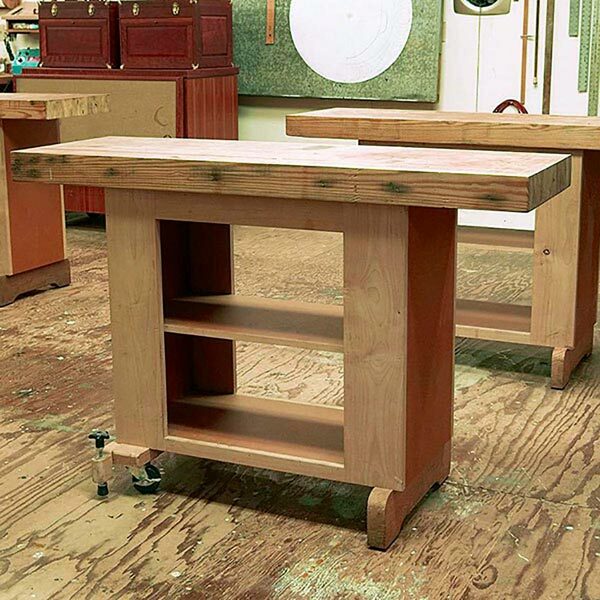 But we'll also show you how to mount the outfeed table to solid cast-iron, stamped-steel, and shop-built wooden tables.